Nashville is a fast growing, rapidly diversifying population, with over one million new residents expected in the Nashville region within the next 25 years. NashvilleNext is the plan which will guide Nashville and Davidson County over that period. The three-year comprehensive planning process sought to address a number of challenges facing the southern city. Taking an untraditional approach to planning, the planning department started with community surveys, assembled issue-specific teams of community leaders, and based the plan upon the public's vision for the city's and region's future. The result: a general plan for Metro Nashville/Davidson County that is relevant to community needs and addresses future growth. 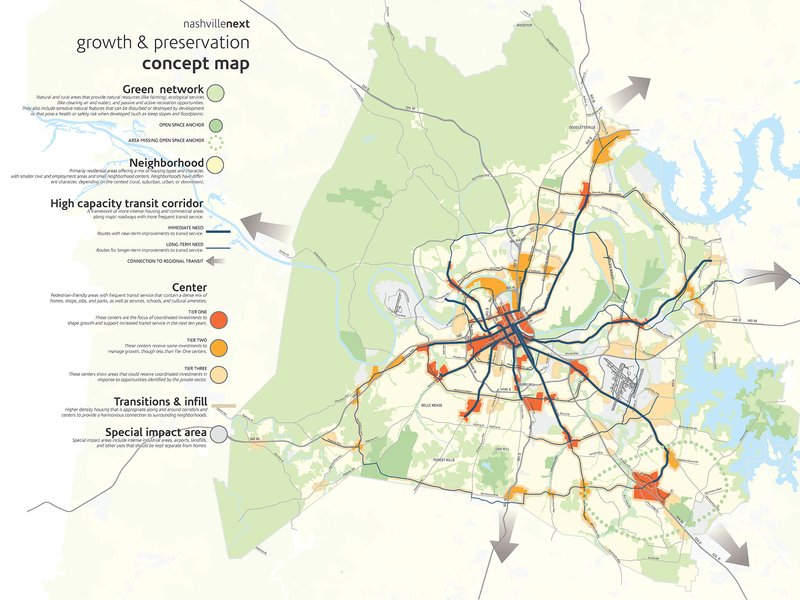 Metro Nashville/Davidson County was facing a number of challenges, including explosive growth both locally and regionally; redevelopment of in-town neighborhoods and the suburbanization of poverty; vast differences in community character; outdated commercial corridors; and a transit system not matched to community needs. 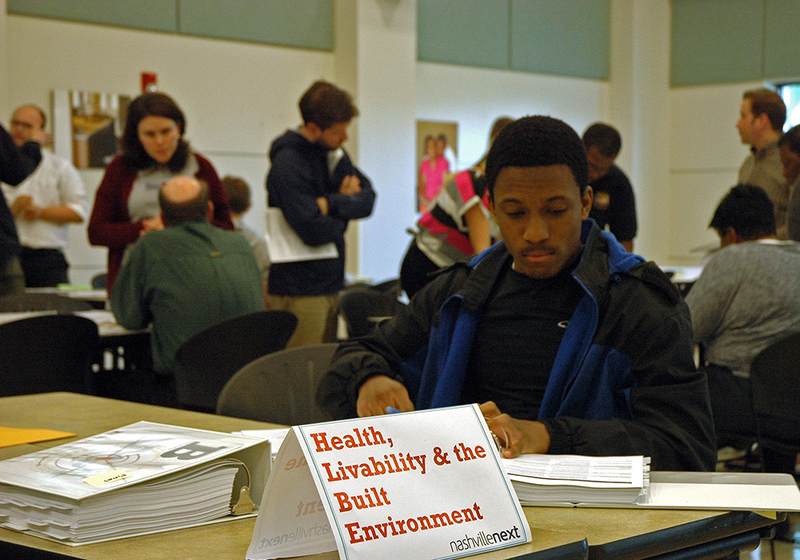 NashvilleNext took a community-based approach to the planning process, starting with surveys of over 1000 community leaders and other local residents and continuing with the formation of resource teams made up of local experts in a variety of issues – for example, arts and culture, health, education and youth, which are typically beyond the planning purview. This elevated concerns early in the process and set the context for meeting broader community goals – such as improving walkability, protecting natural resources, and increasing affordability. 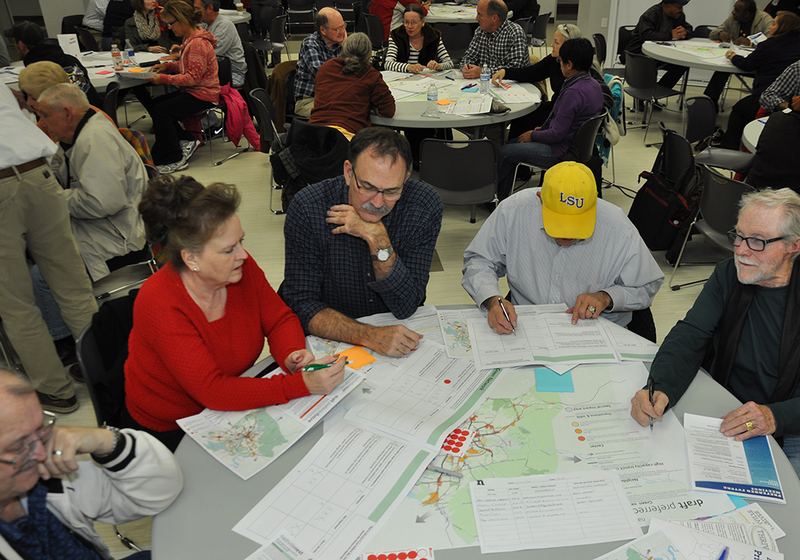 Community members review the Preferred Future by rating the importance of different ways to implement it. Considerable targeted effort went into assembling a Community Engagement Committee made up of a variety of representatives from across the county. Special attention went into recruiting members of typically hard to reach groups such as suburban businesses, low-income households, youth and immigrants. The committee established a plan for community input in each of the six phases of the planning process. During each phase, demographics of NashvilleNext participants were reviewed to identify gaps in participation, and strategies were implemented to include under-represented groups. Additional outreach efforts included community events such as Earth Day and the Hispanic Family Festival; a series of discussion programs on a local cable channel; over 80 online videos, including some in Spanish and Kurdish; "street teams" which approached community members in high-traffic locations like grocery stores in under-represented communities; and focus groups in a wide variety of constituencies. In all, more than 18,500 participants helped shape NashvilleNext. Quiet reading and active conversations at a Plan Review open house. NashvilleNext brought a wide variety of community partners to the table. As a result of focused outreach and engagement efforts, many other agencies aligned their plans and investments with NashvilleNext. The high level of engagement enabled Nashville to update all 14 of its community plans, covering the entire county. NashvilleNext reflects the community's goals and vision – opportunity for all, accessibility, economic prosperity, strong neighborhoods, improving education and championing the environment. The NashvilleNext Growth & Preservation Concept Map shows how coordinated investments, community character policies, and preservation work together.